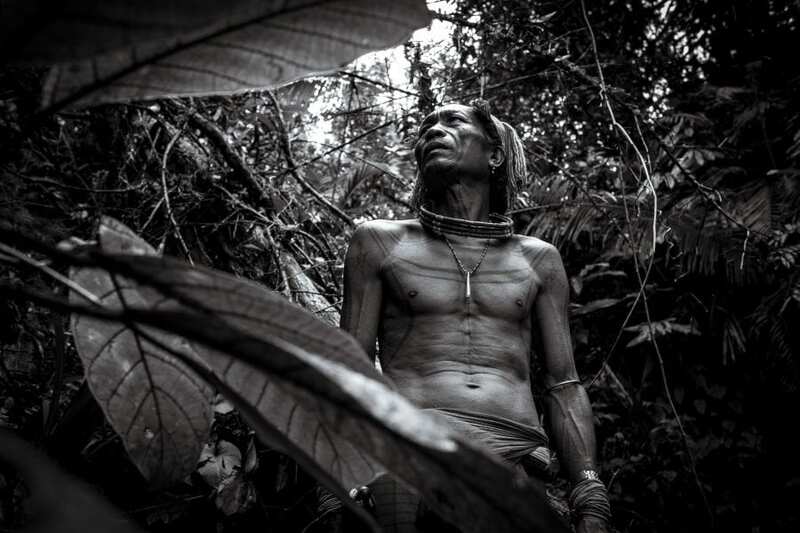 Sinchi network member Pakhuis de Zwijger and Sinchi collaborate to showcase the results of Sinchi’s indigenous photography competition starting 6th of oct in Amsterdam. The Celebration of Indigenous Cultures provides a unique opportunity for visual storytellers around the world to be recognised for their talent and commitment to the preservation of culture and indigenous rights. The aim of the competition is to celebrate the strength and beauty of indigenous culture through visual storytelling. The visuals demonstrate activism, relationship to nature, spirituality, community, everyday life to art, music and cultural practice. Participants have been invited to submit up to 6 photos with accompanying captions and have been welcomed to send in submissions from both remote and urban indigenous communities. The Celebration of Indigenous Culture showcases the work of the winner, 3 runners-up and the artistic merit award for best individual photo, each taking a different approach to the representation of cultures in decline. 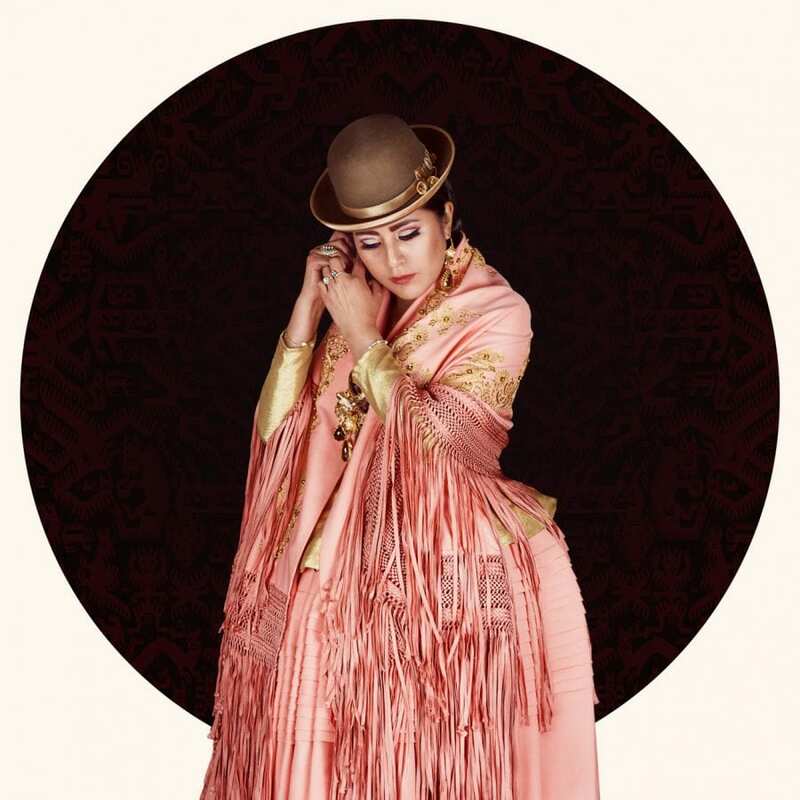 Jury members: Jimmy Nelson, Wayne Quilliam, Laura Beltran – Villamizar (Native Agency). 1st Runner up: Delphine Blast (France) Portrait of a cholita, in La Paz, mars 2016. Discriminated against for a long time, they are now very much a driving force in Bolivia. In scenes that were unimaginable 10 or 20 years ago, nowadays they have real clout in the economic, political, and even fashion worlds. The cholitas have managed to find their place in modern society without denying their collective past. They are an expression of the dignity of Indian populations. This photographic series aims to renew insight into Bolivian womanhood. It also carries with it new identity affirmations and reflects the social changes on the march in the country. 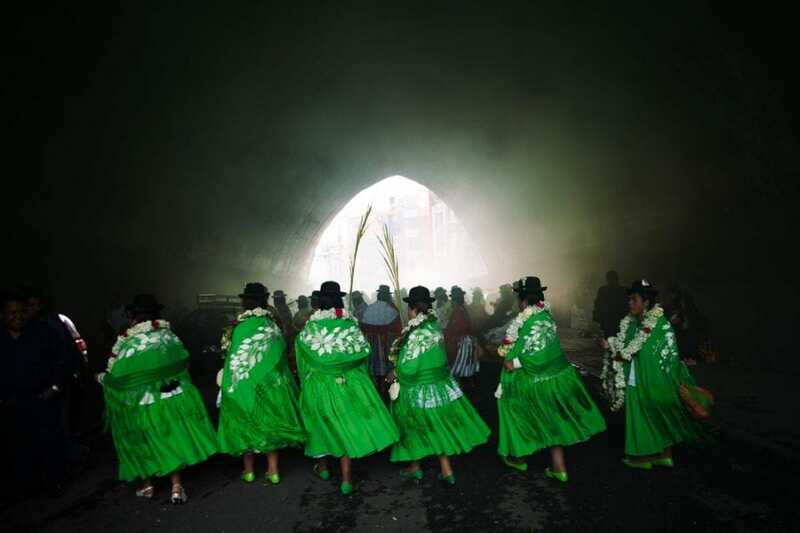 3rd Runner up: Manuel Seoane (Bolivia) – The idea of celebration varies very much between cultures. For the Aymara indigenous culture from the Bolivian Andes, for example, there is a certain time meant-to-be for festivity. During the last 10 years, a big emerging economic elite formed by some of these migrant communities in La Paz has brought such traditional events to the urban environment and introduced to them a unique self-interpretation of fashion and modernity, in order to be recognized and accepted as part of a new higher social status. Through their most important celebration, the Fiesta del Preste, they foresee an opportunity to reaffirm their rural roots while literally show off openly their new urban success, expressed mainly through ostentation and excess. This project tries to explore and discover the distinctive meanings of such idea of celebration inside urbanized Aymara culture; a distinctive symbol of tradition but also modernity and success, two views apparently contrary. Only in La Paz city, more than 800 of these popular festivities are celebrated every year (averaging 2.2 per day). 1st place: Josué Rivas (US) – I would like to share a dream with you. This dream takes place at the Standing Rock nation near the confluence of the Missouri and Cannonball Rivers. I’m camping with thousands of people and next to me is my beautiful partner with our 7 month old son. We had just drove our vehicle for more than 1400 miles from Los Angeles. While we participated in a prayer, an auntie walks up to me with a red bundle of tobacco and says “Go offer it to them” their story is important. I grabbed the bundle and humbly walked up to the leader of the group and said “ Relative, here is some tobacco, I know you are still in ceremony and photos aren’t allowed but I wanted to see if I could please take portraits of the dancers when they are done. The man looked at me with a surprised face and said “Yes, thank you for asking” The truth is that this dream never ended and to a certain degree it never really started. It was something modern and ancestral. A dream so abstract that became real and the amazing part is that I documented it all. For months I was able to photograph the hundreds of nations and allies that came to Standing Rock to stand up for the water of life. Last year Standing Rock became the epicenter of the modern indigenous rights movement in the United States. For almost a year, hundreds of tribal nations and allies unified in a historic gathering to oppose the Dakota Access Pipeline. 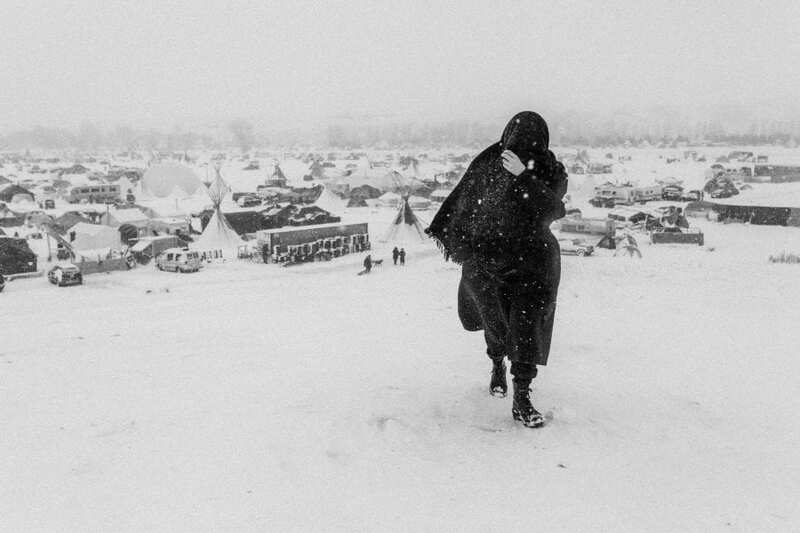 During the first few months, most mainstream media ignored the story but fortunately there were a handful of indigenous photographers, filmmakers, and citizen journalists that took initiative to document it. We as indigenous people were telling our own story and that was powerful’.